A lot of people are looking for something a little different to do online. Something that many people do not consider is an online radio station. There are a lot of easy ways that you can start one and all of them open to people who are looking at this as a professional venture or just looking for a hobby. It is very important that you consider all of these ways and some of the alternatives on offer as well. While it might sound like fun, you need to consider what the legal implications are. You will need to check all of the rules and regulations that you could be up against. The most pressing would be whether or not you have to right to play certain music. You will also have to look at the local broadcasting rules and see what they say. There are many areas where you will have to pay a fee to be able to digitally broadcast your radio station. The costs of this fee will vary depending on the number of listeners you have. It is best that you know about all the legal issues before you even start looking for the hardware and software that you need for your station. When most people think about starting something liker this, they think about all of the hardware they are going to need and the high costs of this. Most people picture the studios that you know normal radio hosts are in and all the equipment that they need. This is often thought to be excessively expensive and not something anyone can start. The truth is that there is very little hardware and software that you are actually going to need, just a decent broadband connection. The hardware that you need will be a microphone, headphones and a computer. Of course, you have to consider that the better the quality of the hardware the better the quality of the radio station. When you look at the hardware you should also consider where you are going to be using it. You will want to use a quite area because you don’t what the sound to be distorted by the noise that comes through the window. The software that you get will vary depending on what you are looking at and what you are looking to pay. There are a number of web based software packages that are designed for the online radio host. If you are going to be playing music and recording your voice then you should look at some of the tools that are geared toward this. You will also have to consider whether or not the software you are looking at is compatible with your computer. There are a number of free online tools that you can use for you radio station. Two of the best free tools that you can use are Audacity and Winamp. When you look at hosting your station you need to look for a hosting company. There are some companies that will help you host your online radio station for free. One of these websites is Shoutcast. The tools that you need for these hosts will vary depending on what you are going to be doing. However, most of these hosts try and make the experience as easy as possible for you. There are a lot of hosts that will not only host your radio station for you. They will also offer you a number of tips to ensure that your radio station does well. When you look at the free hosts you have to consider if there are any restrictions that you should know about. There are some hosts that allow you to host your project for free until you reach a certain level of listeners. When this level has been reached, you will have to pay for the service. One of the easiest ways to create your live online radio station is through the use of web tools. When you use these tools you are given the option of hosting the station live or recording everything for later use. Some of the online tools work in a similar manner to podcasts where you can share your project with friends. If you look at using the DIY option then you are actually considering the most difficult of the options available to you but it also creates a more professional output. When you use this option you will be streaming directly from your computer, but rather through a radio streaming host. These hosts are often cheap to use at first, but the costs will balloon as soon as you pick up listeners. Of course, you can stream it yourself, but this requires large amounts of bandwidth. When you use a host you are going to need a certain level of technical information. All the technical aspects of your radio station are going to be left to you. An alternative that you can might want to consider is to create a video station instead. There are a lot of people who feel that this is easier to do. There are a number of sites that you can use to create this video station. You will also be able to instantly create a station through the different websites. With this option you will be notified when you get a follower and you open yourself up to more people. There are a lot more people who are going to look at a video station than the people who are going to listen to an online radio station. 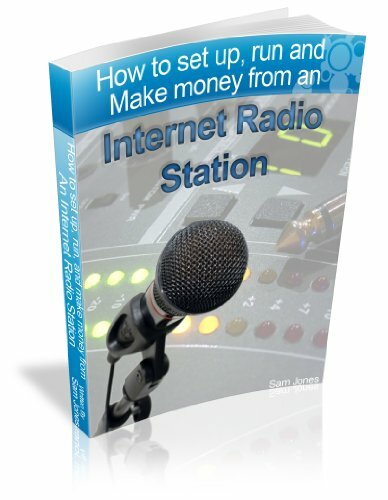 If you want to open your own online radio station then there are a number of ways that this can be done. Of course, you have to consider what the legal issues are and how they can affect what you want to do.